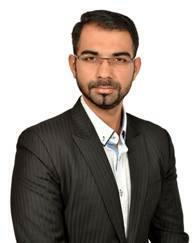 PSA, formerly Priti Suri & Associates, has hired Dua Associates Delhi-based manager Varun Kalsi as its third partner. Kalsi is a 2007 Amity Law School graduate with an LLM in corporate law from NYU, after which he joined Dua Associates in 2008. He specialises in corporate advisory work, in sectors including defence and real-estate. In December 2017, Dhruv Suri, had been promoted to partnership at the firm, specialising in commercial law and co-heading the vertical focusing on start-ups and investors, both financial and strategic. Dhruv Suri is a 2009 graduate of Guru Gobind Singh Indraprastha University, had begun his career at PSA in 2008, and holds a 2014 LLM from Columbia Law School. Priti Suri commented: “Both our newest partners serve to reinforce our ideals that the firm recognises and values quality, and will always have an open door for talented, passionate lawyers who care about the practice of law as much as we do. “At the same time, we nurture and train all our associates in the hope that they will someday take on the mantle of leadership within the firm and, in turn, train another generation of young lawyers in their stead. PSA has offices in Delhi and Chennai. In 2012, PSA had converted from a sole proprietorship model to a partnership, after hiring dispute resolution lawyer Anuradha Lall, who later went independent starting the Chambers of Anuradha Lall. PSA Bangalore partner Neeraj Dubey had joined Lakshmikumaran & Sridharan in 2015. "Dhruv Suri is a 2009 graduate of Guru Gobind Singh Indraprastha University, had begun his career at PSA in 2008"sounds not quite right. 2009 graduate beginning his career in 2008. Great to read about this. Priti is probably one of the best people to work under. While I was with her I hated her ways, but it's only now that I realize that all that she scolded me about are the things that help me be better than my peers. I haven't said it earlier - Thank you, Priti. Varun bhai, you will be missed. Hum ko bhi le jaate apne saath. Well Done Varun. PSA is an excellent place to work. You will enjoy the challenges thrown your way and the meaty work given. All the best ! any idea how much does PSA pay a fresher or 1 PQE Associate?